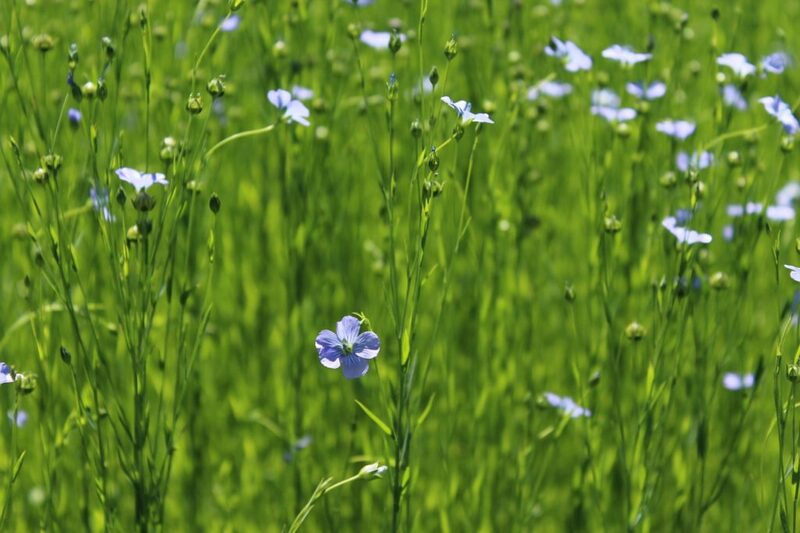 The scientific name of flax is Linum usitatissimum, which can be roughly translated as “the most useful”. The name is self-explanatory, as flax seeds can be used for a variety of purposes, from linen manufacturing to industrial purposes as well as for food and feed purposes. Flax straw contains useful fibers suitable for the textile industry and even for the automotive industry. It is commonly believed that flax originated in the Middle East region or in India. It is one of the ancient crops still cultivated to this day, dating back to somewhere around 7,000 BC. Most likely it was domesticated in the Fertile Crescent area. The utilization of seed oil and stem fiber can be traced back to ancient civilizations in Egypt and the Middle East region. The primary use for flax was for making linens. Some burial chambers dating to around 3,000 BC contained clothing made from flax fibers as well as depictions of the flax cultivation. Flax is a plant with blue flowers that adapts best to cooler climates, but it is now cultivated in most parts of the world. 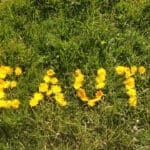 The plant loves daylight, so it is most suitable for regions with long periods of daylight. Most farmers choose to cultivate flax because it is suitable for crop rotations and because it provides good returns on investment. 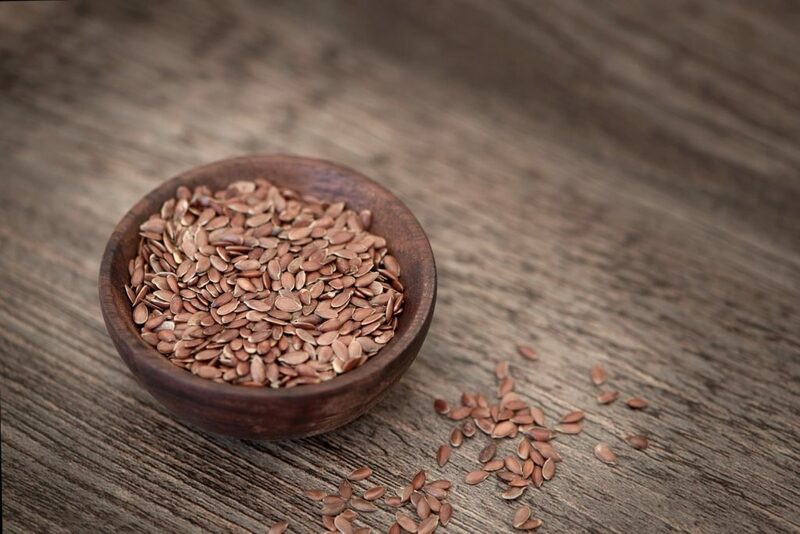 The largest producer of flaxseed in the world is Canada, accounting for approximately 40% of world production. The plant is grown predominately on the Canadian prairies for flaxseed oil. This oil is used as drying oil for varnish and paints and to produce other types of products. Combined, the USA, China, and India account for an additional 40% of the world production. Flax is mostly used nowadays to obtain cold pressed oil suitable for human consumption as well as for industrial purposes through solvent extraction. After the processing of flaxseed, flaxseed meal is a by-product used sometimes for animal feed. As a crop used for nutrition, flax has a very high nutrient content, it’s rich in dietary fiber, essential fatty acids, vitamins, and minerals. It is also a source of alpha-linoleic acid (ALA), one of the essential omega-3 fatty acids. In fact, the percentage of ALA contained by flax is the highest found in plants. For human consumption, flax seeds are used as ingredients in various dishes or as a dietary supplement. Typically, flax was part of a healthy breakfast, especially mixed with bread, pastries or cereals. Over the last decades, it has also become an important ingredient in other products developed for the healthy food market. Consumer interest for flax has spiked especially due to several studies that have highlighted its various health benefits such as reducing cancer risks or reducing heart disease risks. On the other hand, the flaxseed meal has become widely popular in the premium pet food industry. 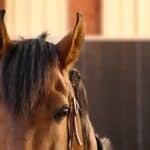 An increasing number of pet food producers is adding flaxseed meal in their poultry and animal feeds due to the amino acids it contains. If flax seeds are part of healthy diets today, in the past, flax was heavily used for industrial purposes. Flaxseed oil can be sued to produce linoleum flooring and paints, but it the industrial demand has decreased as the respective products were replaced petroleum-based floor coverings and water-based paints. However, since environmental-friendly products have become more popular, flax has regained its place in the industry, being used again for linoleum flooring due to its biodegradable and non-allergenic characteristics. 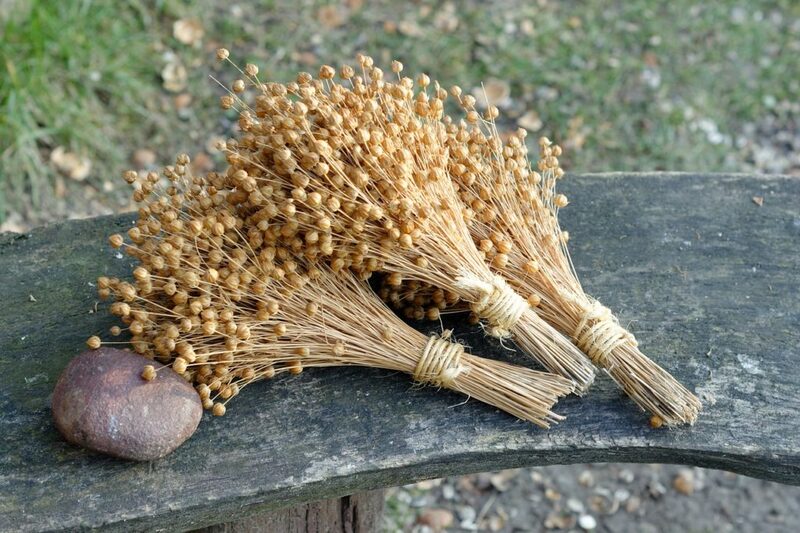 Flax fiber from the stem of the plant has been used to make paper, linen sheets, napkins, clothing and other items made of cloths. It is also suitable for fine paper products such as parchment paper and cigarette paper. Short flax fibers are not as valuable on their own, but they can be mixed with cotton fibers or other types of fibers to produce medical products (for example for bandages). Recent technological developments are focused on using flax straw as alternate fuel resources. Per ton, flax straw has a heating value like soft coal, providing a higher heating value compared to other crop residues. It can also have other purposes. For example, a Canadian plant uses flax fibers to produce glass used for cars, as a replacement for fiberglass. In other words, flax can be used in so many different industries, that it can easily be considered one of the best crops for valuable plantations. Flax is an annual, grassy plant with a vegetation period of 85-115 days. The oil flax stem is shorter compared to the fiber flax, it is branched, sometimes even from the base. The total plant height of the oil flax is 40-50 cm. The fiber content in the stem of the oil flax is about 18% and of poor quality. High-temperature oscillations during flowering and seed formation phases are harmful, and strong heat reduces seed production and unsaturated fatty acid content (especially linolenic acid), reducing oil quality. Being a crop suitable for cooler climates, flax develops well in deep soils where the moisture content is available even during the cold season (for example in alluvial soils). Because the roots of the plant penetrate deep into the soil, the field should be plowed to a greater depth and it should also attain a fine tilth level. Flax requires a relative humidity of 50%-60%, provided through rain or by irrigation. This way, farmers can obtain a higher good quality yield. The field should be prepared accordingly, to allow flax roots to penetrate deep into the soil. In addition, it is important to make sure that the field is weed free before starting to plant the seeds. Usually, the seed rate used for cultivation is approximately 45-50 kg/ha. If the soil is poor in nutrients, the field should incorporate micronutrients, hence fertilizers are required, especially organic-based ones. After sowing of the seeds, flax requires irrigation to maintain moisture until the germination phase. Irrigation should become frequent when the flowers start to turn into seeds. The critical irrigation stage of flax starts from the flowering phase until prior to the seed ripening. Irrigation frequency depends on the type of soil and on climatic conditions. Weed control is also important, through herbicide applications during the re-emergent and post-emergent phase. The main pests and diseases that attack flax cultures are rust, fusarium wilt, root rots, seedling blight, powdery mildew, aster yellows, and pasmo. 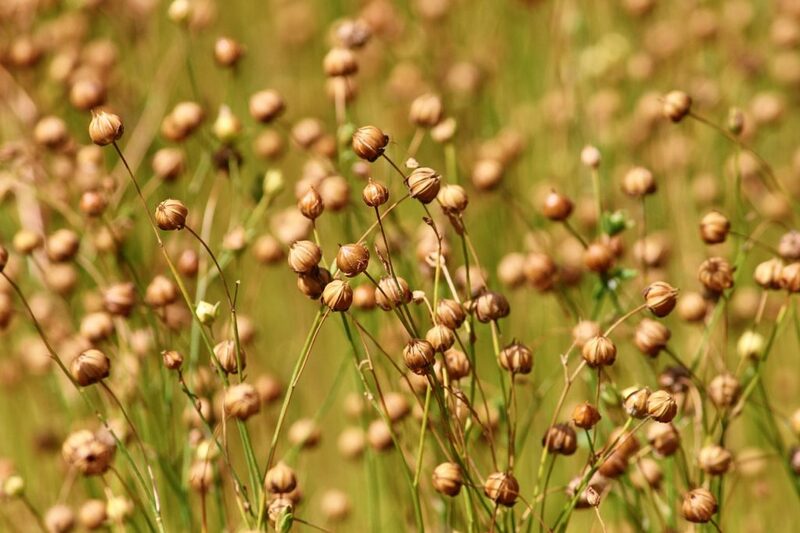 Flax is ready for harvesting when approximately 75% of the bolls turn a brown color. Harvesting should not be delayed because this crop is sensitive to frost. The flax crops are cut and left for drying for about 2-3 days before they’re ready for threshing. The yield of flax cultures varies depending on the purpose and variety of the flax seeds used, given that this plant is cultivated for both seed and fiber. 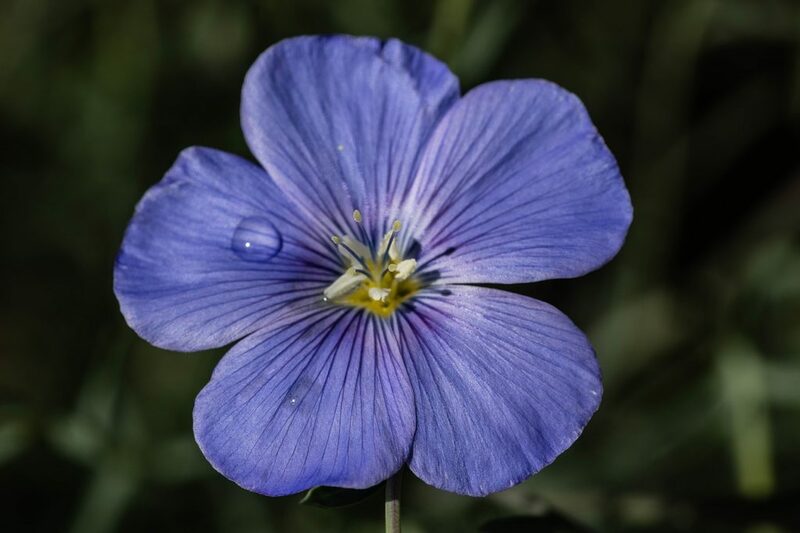 There are three types of fiber flax flower varieties: white, purple and blue. Fibers obtained from white flower flax are harder, so they have a low value, as opposed to purple flower flax. Sometimes, farmers choose to cultivate different varieties in the same field. Typically, flax yields an average of 500-1,000 kg/ha. For maximum emergence, flax requires a well prepared, firm and moist seedbed. 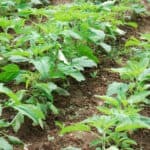 The first step for the preparation of the seedbed is to review the types of crops previously grown in the field and the types of herbicides used. Flax has better yields when minimum or zero till is used, in comparison with conventional tillage systems. This is possible due to improved organic soil matter, increased soil moisture and a better rooting capacity for the plants. Another added bonus is the reduction of early weed emergence. If tillage is used, the field should be worked in order to minimize soil drifting and to allow snow trapping for increased moisture in the soil. Spring tillage, if required, should be done only shallow, to allow the seedbed to remain firm. Flax seeds are sown as soon as the field is prepared so the soil doesn’t dry out and the seeds have the required moisture for germination. Good plant establishment is critical to obtain a high yield. For optimum yield, there should be a population of approximately 300 plants/square meter, unless plants are grown under irrigation. Higher plant populations don’t necessarily increase the yield. If the seedbed is in poor condition, slightly higher seed rates may be required. As flax seeds have a rather small size, they don’t have enough nutritional resources to overcome soil crusting or deep seeding. However, the seeds should not be planted too shallow, because they are sensitive to drought. Flax should be sown in moist soil, at approximately 2.5-4 cm deep, with a row spacing of 15-20 cm. deeper seeding or seeding in soils prune to crusting should be avoided because emergence is delayed and the resulting seedlings are weaker and easier to get attacked by weeds and diseases. Flax is sown as early as possible because this ensures a higher yield and increased productivity. Maximum results are obtained when seeding is made in the spring season, depending on the climate, but it’s important to make sure that moderate temperatures and soil moisture during the flowering and seed development stage favor high-quality yields, especially for the plants’ oil content. Flax seeds can withstand temperatures down to -3° Celsius, but after the plant has passed the two-leaf stage, it can withstand temperatures down to -8°C for short time. Full maturity is reached by flax plants when most of the bolls have turned brown. Desiccating or cutting flax at an immature stage doesn’t make the seeds turn black, but the yield is significantly decreased because the seeds don’t have the chance to reach maturity. 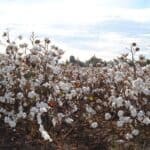 Chemical desiccation may be used to accelerate the drying of the plants as well as any weeds that may be present in the field and as a way to reduce the time from maturity to harvest. Approved chemicals are applied 7-14 days before the harvest date. Desiccated flax must be harvested as soon as possible as it’s suited for cutting and threshing to avoid capsule losses and seed weathering. Flax can also be harvested by using conventional straight combining and swathing. Flax is considered damp if the moisture level exceeds 13.5%. Harvested flax can be stored after it dries, and the moisture level goes down to 10%. The crop can be harvested at a higher seed moisture content only if drying facilities are available. The straw contains between 10% and 22% fiber, a strong natural material that represents interest for various industries. If straw is considered as part of the economic return of flax production, harvest management becomes even more important to obtain high-quality seeds as well as high-quality straw. By controlling broadleaf and grassy weeds, dockage can be considerably reduced in the case of flax. If green weeds are present when the flax is harvested and stored, they can increase the level of moisture of the flax seeds and therefore cause overheating and molding. Removing this dockage before the flax is stored is highly recommended, especially if the flax is stored for the long term. Freshly harvested flax seeds can maintain a high respiration rate for up to 6 weeks. 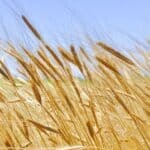 Moisture migration will occur in stored flax seed, just like in the case of other oilseeds and cereal grains. Furthermore, high moisture spots can develop because of moisture migration. Stored flax seeds should be inspected frequently and whenever possible, they should be cooled down. On the upside, stored flax seeds are not as troubled by storage insects as frequent as cereals because they simply don’t have enough nutritional value for the diet of many insects. Fungus beetles and mites can become a problem if damp seeds are stored. If flax seeds are kept in a cool and dry place, it’s most likely that the risk of insect infestation is reduced as insects tend to not be as active in places where temperatures go below 18° Celsius.